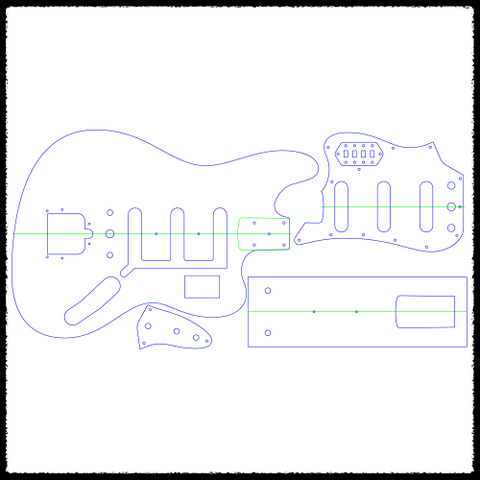 ShortScale :: View topic - Bass VI plans? Posted: Sat Aug 19, 2017 2:03 pm Post subject: Bass VI plans? Anyone seen any anywhere? I'm looking for some downloadable PDFs if anyone knows where to find some. Gorgles isnt helping. Started working on my own. Need to refine the headstock, as I'm using one from a Jaguar for now. Thanks, I was aware of Faction's templates already. I'm taking the total DIY approach here, making my own templates from scratch. Usually I start out with a printable plan that I glue to MDF and then cut it out. Ok, good. I for one am looking forward to seeing this come together. What color are you planning to give it?